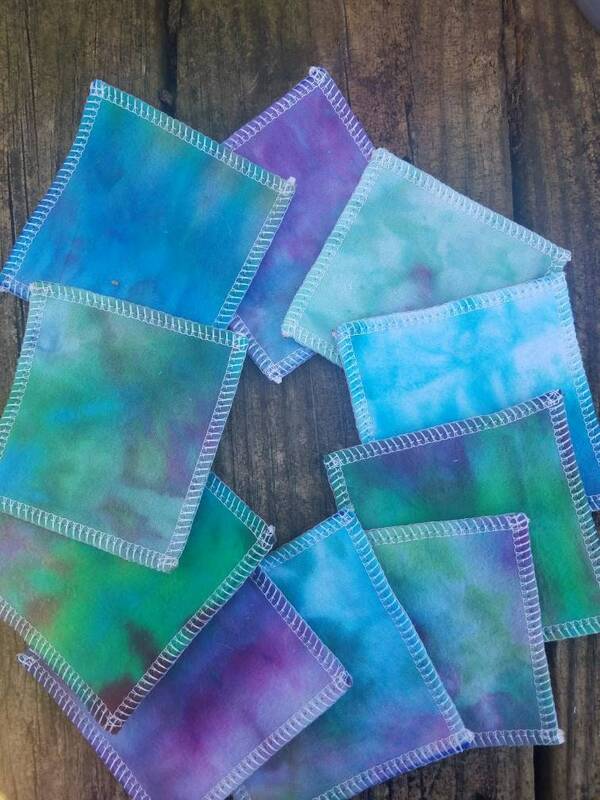 Set of ten washable, reusable flannel face cloths. 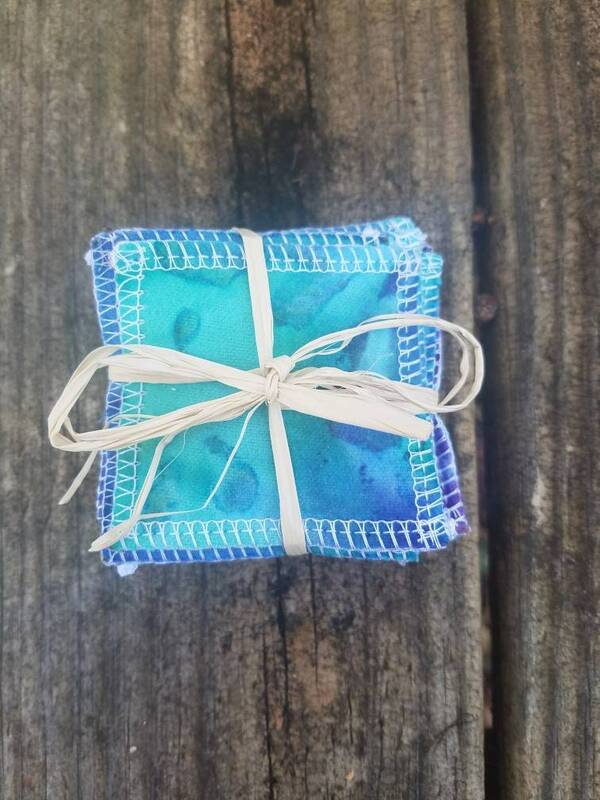 Three layers of hand dyed cotton flannel serged together to make a soft wipe to replace using cotton rounds. I use these mainly for taking off eye makeup as I have found terry cloth (washcloths) too rough for my skin. The tie dye helps to mask stains caused by the makeup. Wash and dry with dark colors. Avoid fabric softener as it decreases the absorbency of the fabric. 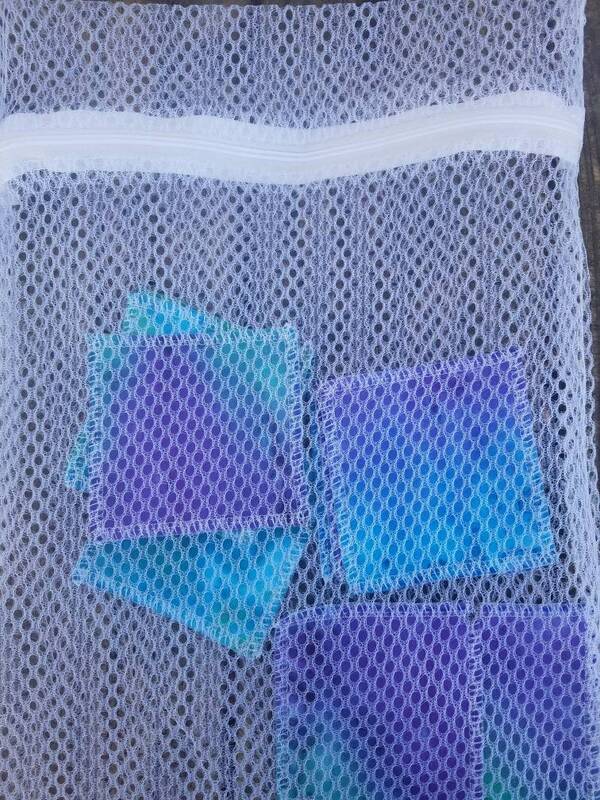 You will receive a mesh bag to wash them in to avoid them getting lost in the laundry. 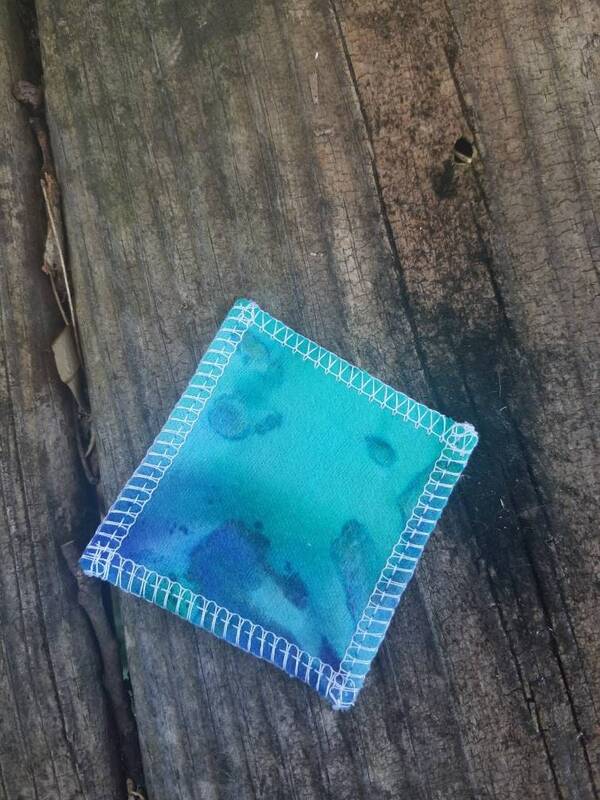 I do not make the mesh bags, only the cotton rounds. 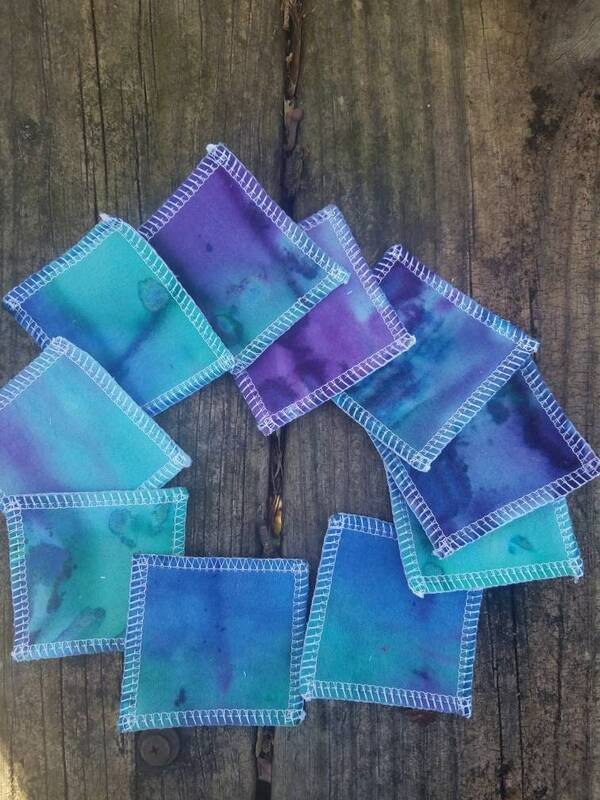 I make these using scraps from other projects so the colors and patterns will vary. I will make sets of 10 with like colors as often as I can. Convo us if you need a large order or would like custom colors. 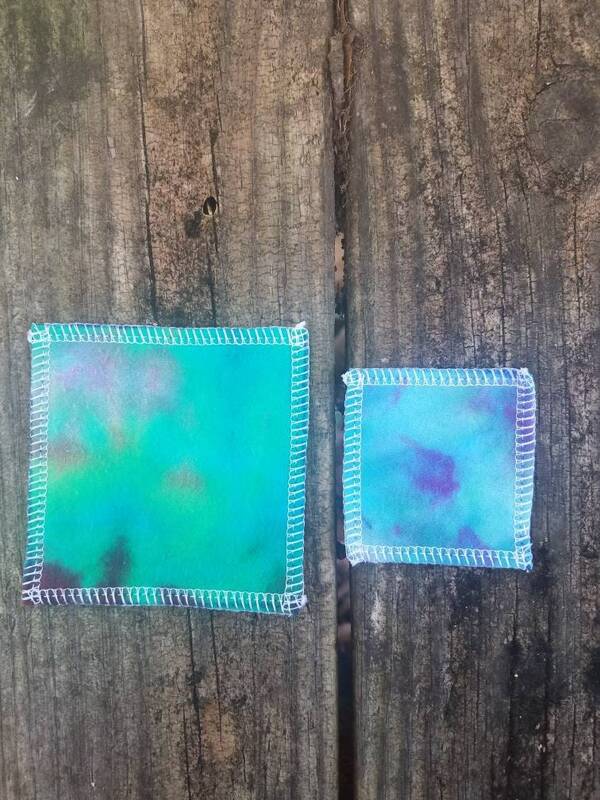 Tie dye is achieved with fiber reactive dyes that bond chemically with the fibers of the fabric, not just the surface which decreases color fading. Item arrived as described. Great quality. I look forward to being able to clean my face in a sustainable manner :). Will buy from again.